My friend and poet Emmanuel inspired this post. I followed his lead and proudly added my cheers to this. Written in support of the Thursday Poets Rally, please post on your blog attaching the above logo in support of this movement. and where your muse had wandered to. to share my point of view. through fine and stormy weather. oh! I just love everyday. in writing this to you? Thank you Emmanuel, for inspiring us to all to stand together and keep Jingle’s movement ALIVE!!! This entry was posted on July 6, 2010 at 12:20 pm and is filed under Daily Life, Dreams, Emotions, Family, Friends, Life, Musings, People, Personal, POETRY, Random. You can follow any responses to this entry through the RSS 2.0 feed. You can leave a response, or trackback from your own site. Has anybody told you lately that you are a sweetheart?…Well, trust me, You are one big sweetheart. just one word – ROCKING!!!!! 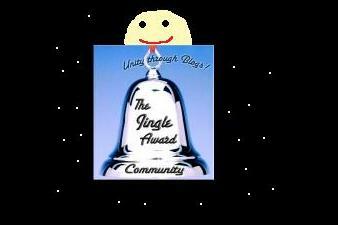 To Jingle, Emmanuel, Amanda, Trisha and each and every poet in the Thursday Poets Rally – Hip Hip Hurray !!!! This is just fabulous. 🙂 lets spread the wave…. Great words, Buttercup! So glad you enjoy the rallies, as we all do. Even a newbie like me! I like your videos to accompagny your posts. Neat! Wow, another fantastic post again. I like the creative and philosophical you. Every post is just excellence, Amanda. I have a post, “Love Yourself More?” today, and your comment is most valued and appreciated. Thanking you in advance. !!! smiles. i keep seeing this today…lol. ibok rocks. indeed, what a nice poem to have written in honor of the rally ~ we’re so lucky to have such a fun-loving and supportive community!